1. According to the UMN DEHS, we need to flush eye washers 5 min every week and 15 min every month to prevent bacteria growing in the pipe. This has been added to the checklist. Please record every week on the tables near each eye washer from now on. 2. 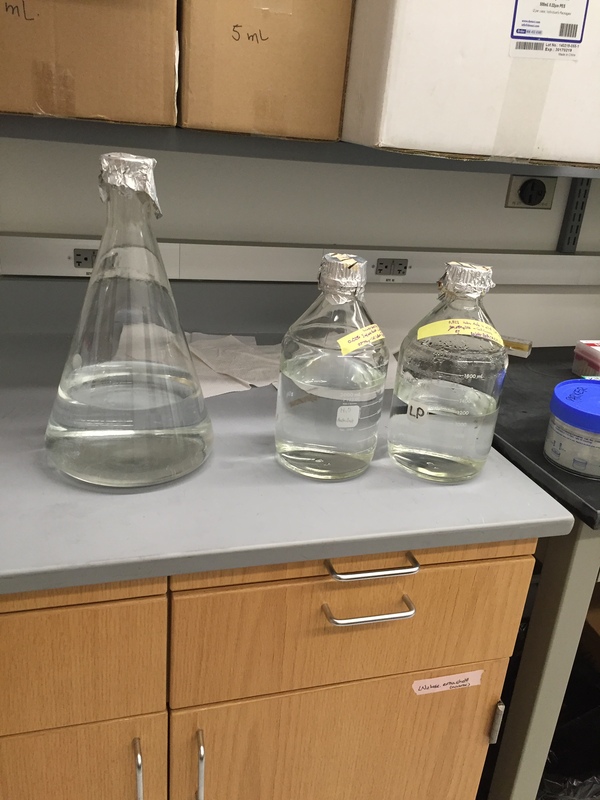 Please use autoclaved MilliQ water for moisturizing the cell incubator (big flask shown on the left) and autoclaved MilliQ water for the water bath (labeled bottles on the right.) DO NOT add Na Azide to water because it is too toxic.